At Busseys, we know that our customers need to keep their fleet on the ground. This is why we are now offering Ford Mobile Service, bringing our expertise to you to minimise vehicle downtime. 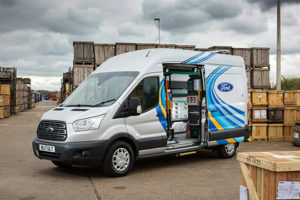 Our Ford Mobile Service van is equipped to carry out routine service and maintenance, vehicle repairs (including warranty), and field service actions, such as software updates. 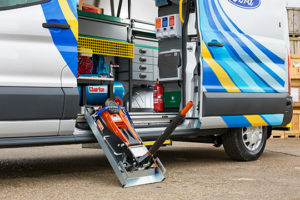 Our mobile servicing van is fitted with Ford Diagnostic Computer Systems (IDS) for quick diagnosis and repair. Unlike any other mobile workshop services, all work is carried out by Ford-trained technicians, using the latest Ford diagnostic equipment and tools as well as genuine Ford parts, for added peace of mind. We are able to carry out small, manageable warranty repairs as well as recalls/Field Service Actions (FSA) if applicable. If you’re a local business and operate a fleet of vehicles, large or small, you can take advantage of this service. By bringing our Ford Mobile Servicing to you, fleet down-time is kept to a minimum. Book your service or MOT using our online form. Spread Your Motoring Costs with Interest Free Fixed Monthly Payments.